What Does It Mean To Be Allergic To Gluten? These days, we're hearing a lot about the benefits of a gluten-free diet. Gluten is a protein that makes dough elastic, and it's found in many of the staple food items we consume every day. While many people without sensitivity to the substance are opting for these diets, those with gluten allergies have a more urgent reason to cut this substance out of their daily routines. Gluten sensitivity differs from many food allergies, as it can have chronic, malignant effects on the intestines, muscles, and joints. Over 250 symptoms have been observed in patients with an observed sensitivity. Patients most commonly complain of bloating, abdominal pain, constipation, and diarrhea. This condition has a genetic origin: there are several types of sensitivity, each traceable to the body's failure to handle these specific proteins properly. It's important to distinguish gluten allergies from other similar conditions, such as celiac disease and wheat allergies. Celiac disease is, in fact, a specific kind of gluten sensitivity that is treated by cutting the protein from a patient's diet. However, the disease poses a host of risks to the immune system that an allergic condition does not. Wheat allergy is often confused with gluten intolerance, but it involves a reaction to a totally different set of substances. 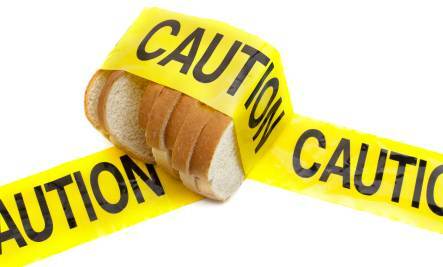 How is gluten intolerance diagnosed? Well, the jury's still out on this. At present, researchers have not found any surefire biomarkers to indicate the disorder. Physicians will often ask patients to undergo a "gluten challenge," during which they are required to either regularly eat or cut out the substance for a specified time period. A diagnosis can then be made based on any symptoms patients experience. Those who seem prone to intolerance are advised to cut this protein from their diet, which means excluding foods that contain wheat, barley, rye, and cross-contaminated oats. If you're experiencing some of the symptoms listed above, you should consider asking your doctor about getting tested for gluten allergies. The sooner you know, the sooner you'll be able to modify your habits for a healthier, happier lifestyle.